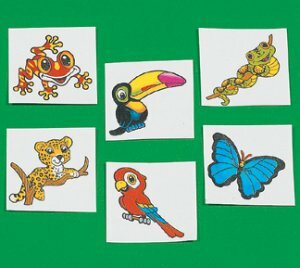 12 pack of Children's Rainforest Tattoos. Popular with boys and girls alike, these tattoos are a beautiful illustration of the endangered animals. Each pack has a range of different animals.